Hi dear friends. 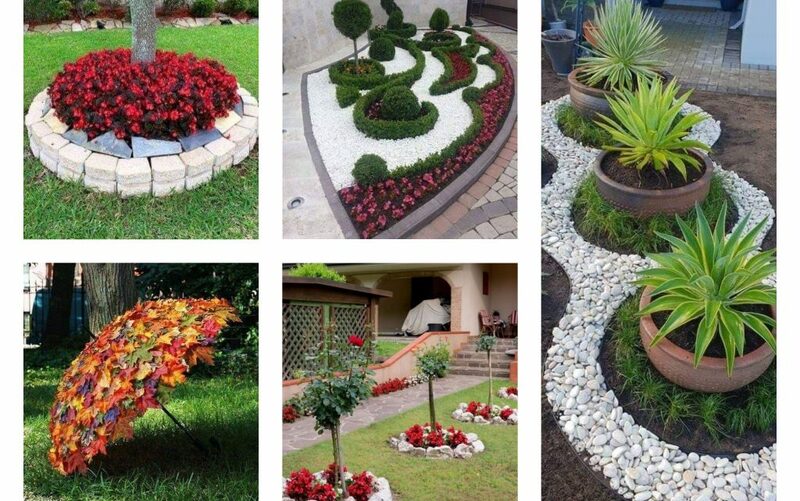 Welcome to the post that is about how to create amazing garden decor and landscaping. Here, you can find lovely ideas about how to decorate the outdoor space of your home. 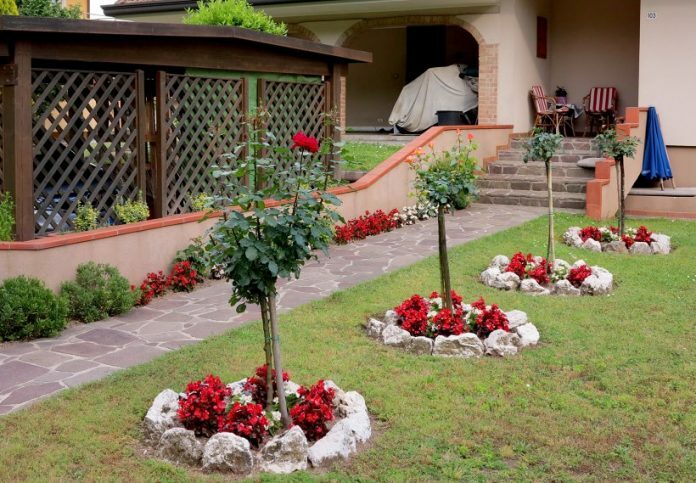 You will see how to decorate the space around the tree in the yard, how to take care for the garden flooring, how to reuse the old broken flower pots and many more ideas. To be honest, each idea from this post is something nice, something wort your attention and your free time. Stay with us and spend your free time in a quality way! Also, read our last post that is about how to decorate the balcony spaces even if they are small. Enjoy in lovely ideas and find motivation in it! Decorate the space around the tree in yard place and fill it with lovely flowers. If you have still no idea how to make that, check this idea in the photo here and find out! 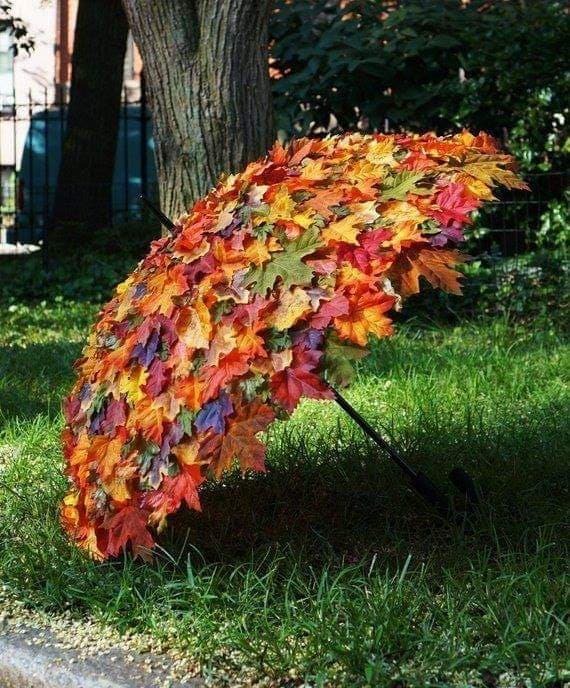 Reuse the old umbrella at home and add leaves on it. 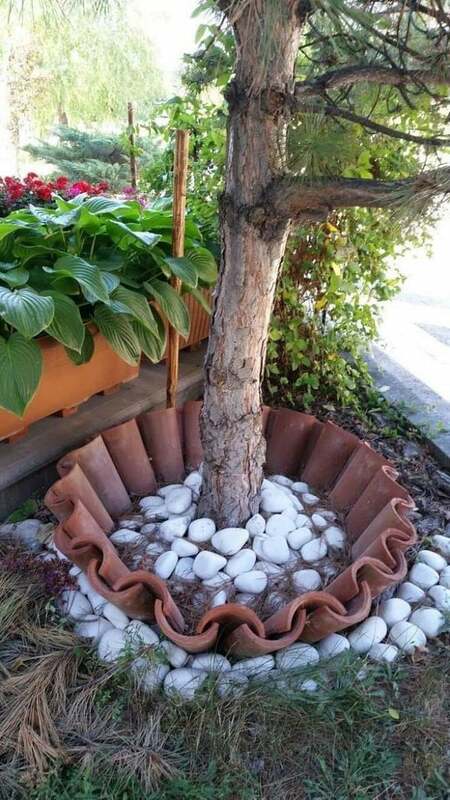 Use glue for this aim and this do it yourself project make it in an easy way and beautify the garden place. 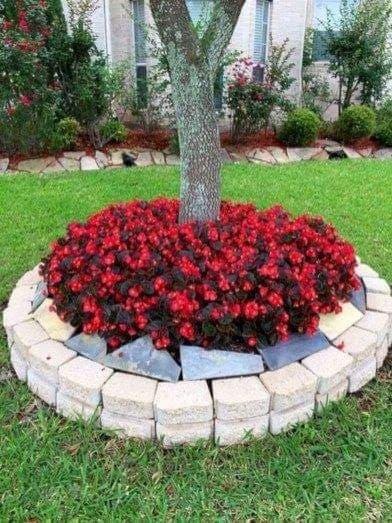 All you need for creating nice flower bed around the trees you have in yard are stones and flowers. With these two elements you can have modern outdoor and to love it. We are to the my favourite idea from this post. 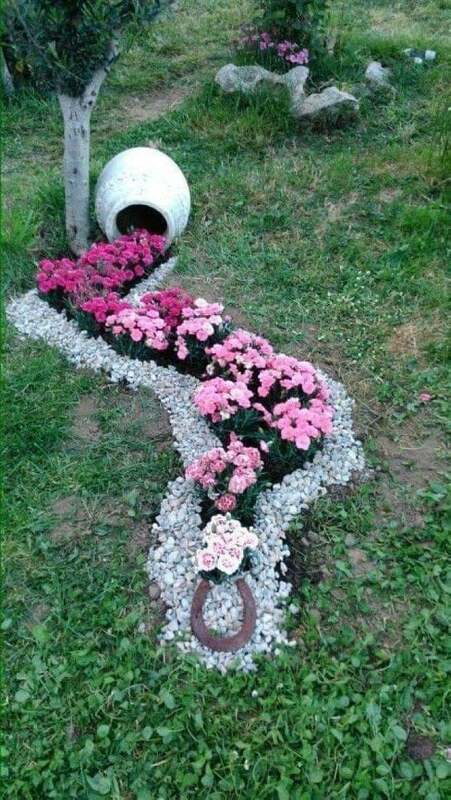 I’ve always wanted to create spillt flower bed in my garden place and this is the way to copy in my garden. What do you think for this? Plant the trees you have in the front part of the yard and be creative person. Inspire yourself in the photo here and make something that you will be proud with it. 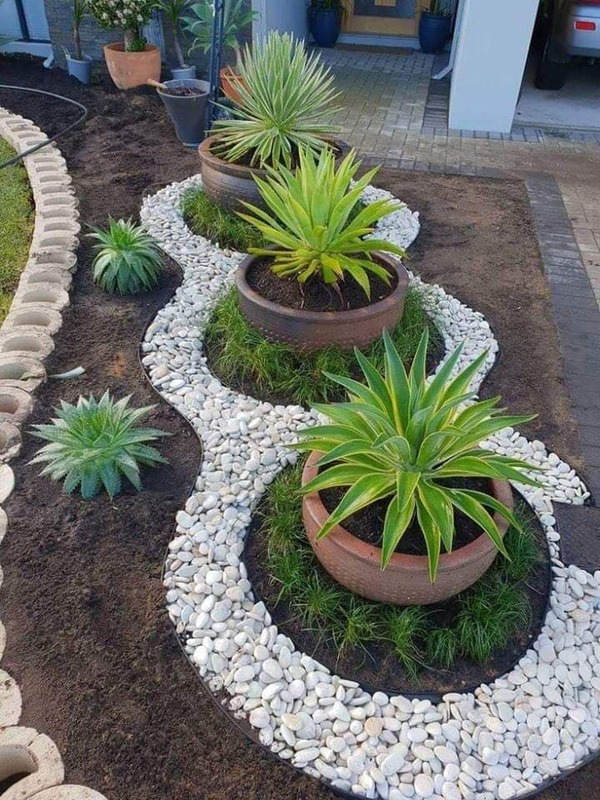 Create nice organization of the flower pots you have in the yard with the usage of white rocks for the floor and large flower pots where you can plant all the plant you have. Use bricks and rocks in white colour for filling the empty space in the trees you have in the garden. Absolutely cool idea that you will have the chance to see in the photo here. This is the last idea of this post so make sure that you have seen all the ideas we shared. 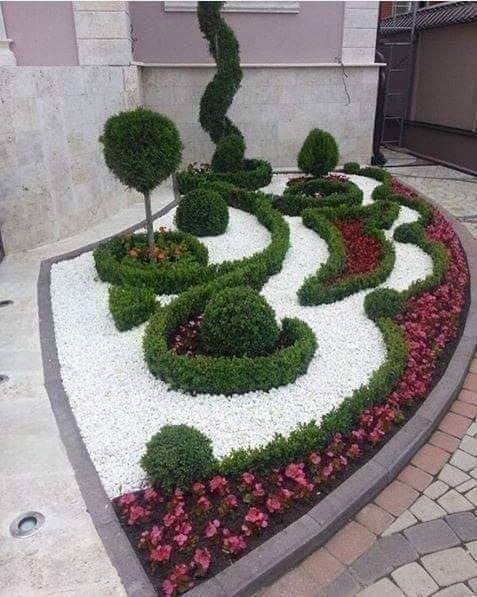 Well, I hope that you have found some idea for your outdoor place, yard, garden or backyard. If I’m in right, keep following our website in the future for seeing more ideas about interior and exterior design. Be nice friend and also share ideas with friends!! !